How to choose a Realtor/Co-Broker in Russia? 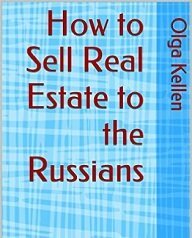 There are no Realtor licensing bodies in Russia, no laws that require Russian Realtors to be licensed, and no specific laws to regulate Russian Realtors' activities and commissions. How should you evaluate a particular Russian Realtor in terms of their qualification, reliability and ethic? That's a tough question to answer lacking legal regulations and requirements. Luckily, a solution to this problem can be found, as there are several associations of Realtors in Russia that are concerned about this situation and perform VOLUNTARY CERTIFICATION of their members. St. Petersburg Association of Realtors (ARSP) is one of the most important among Russian real estate associations. St. Petersburg is the second largest city in Russia and the third largest in Europe after Moscow and London. St. Petersburg was the capital of Russia in the past. Many analytics notice that its market of real estate buyers expresses the fast growing interest in foreign properties as more and more foreign real estate shows expand to St. Petersburg from Moscow and public attendance of the shows has been steadily increasing. ARSP started as the association of 12 Realtors in St. Petersburg in 1993, now there are more than 100 corporate members and more than 1700 certified real estate agents. The goal and purpose of ARSP are standardization of the real estate industry in Russia based on the best experiences and achievements of world's Realtors associations. ARSP accepted the Code of Professional Ethics that regulates its members' real estate related activities in the absence of specific real estate laws and Realtors' licensing system in Russia. There are more than 10,000 realtors in St. Petersburg, and although not every realtor is a member of any association as it is voluntarily, many of them are good anyway. How can I help you in establishing partnership with Russian Realtors in St. Petersburg? I promise to use it only to send you Selling to Russians.